SME News - What to do if a big customer isn’t paying fast enough? What to do if a big customer isn’t paying fast enough? Late payment by big customers is killing small businesses. Research from the Federation of Small Businesses found that up to 50,000 SMEs are forced to close each year due to the cashflow problems caused by late payment. 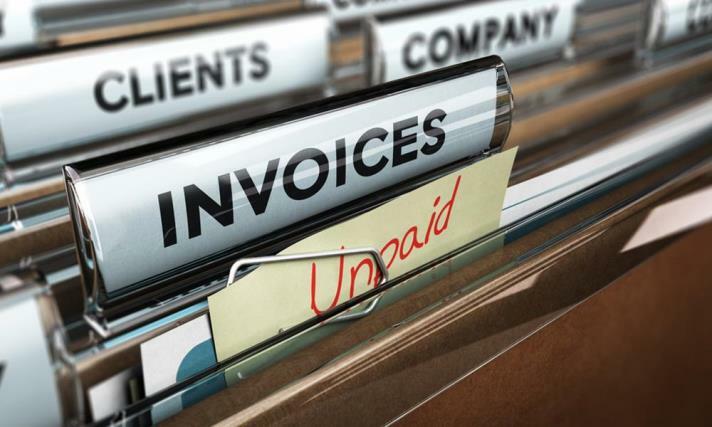 More than a third of SMEs report that invoices are regularly delayed. Worst of all, this late-payment culture is becoming normalised: almost 50% of businesses admit to regularly paying suppliers late. If one of your major customers is delaying payment, what can you do? Are there any strategies you can take as a small business owner to get a big customer to pay up – all while keeping them on side? The fact of the matter is that today, small businesses still have relatively limited leverage with big firms who pay late. While these customers normally do eventually pay up, is of little value if your business has already been forced to lay off staff or close. That said, there does seem to be a gradual change in tide. Last year the government began ‘naming and shaming’ major businesses that consistently failed to pay suppliers on time. And the government’s ‘small business tsar’ has suggested fining large firms which pay suppliers late. So, things could be on the up in the coming years. However, until all big customers are legally forced to pay small suppliers immediately, there are several things you can do to make it more likely that your invoices do get paid on time. If your customer regularly pays late, why not ‘nudge’ them into paying early with a small discount? Your customer’s accounts payable department is keen to save as much money as possible – one of the main reasons they delay payments. So, if you can offer them an incentive – even as little as a 1% or 2% reduction in price, they may well choose to pay early. While the hard-nosed business person in you may feel loath to give this kind of concession, it’s got to be better than waiting six months for the cash to come in. If the service or product you offer can be delivered on a project basis, it’s worth insisting that you be paid for ‘milestones’ completed. Rather than accepting all payment on completion, breaking your project down into milestones means you are guaranteed some cash up front, and you can also pause work until you receive payment for stages completed. This forces the customer to shell out. Many big customers will simply present you with their payment terms up front. And sometimes these can be eye-watering – often 60 days and upwards for even relatively small sums of money. The key thing to remember here? Don’t be a pushover. Explain to the company’s purchasing department that you are a small business and depend on regular cash flow. Negotiate your own terms with them and agree to something more realistic for you. In most cases they will be keen to work with you and are unlikely to play hard ball. Unless you know accounting inside-out, it can often be very difficult to negotiate with your client’s accounts payable department. They have very different priorities to you and approach solving these kinds of business problems from a very different angle. In these cases, it can be helpful to get your own accountant on the phone directly and find out what the problem is. It may be something as simple as you failing to provide the wrong purchase-order number or not having signed a specific piece of paperwork. Your accountant may find it a lot easier to locate the source of the problem. Invoice financing is when you turn to a lender who will pay you most of the value of your invoice today. When your client does eventually get round to paying up, the lender receives the payment. Say you had an invoice for £1000, but knew your client wouldn’t pay you for months. You could turn to an invoice financing firm who might pay you something like £950 today, and they would eventually receive the payment from the client instead. This approach should really only be taken as a last resort and be used as sparingly as possible. You should read the finance house’s terms and conditions before opting to do this and watch out for any ‘hidden’ charges. Mark Sherwood is the CEO of DSL, an accounting firm that focuses on helping small businesses get the building blocks in place to grow and achieve their ambitions.